Congratulations to the University of New England’s Discovery Voyager team for taking out the 2017 Northern Inland Innovation Award for Research & Education! The UNE Discovery Voyager is the University of New England’s (UNE) outreach and engagement program that takes curriculum-aligned, interactive activities in STEAM (Science, Technology, Engineering, Arts and Maths) to schools across northern NSW. The UNE Discovery Voyager team are passionate scientists and educators who travel to schools to facilitate play-based learning and exploratory discovery in ecology, physics, chemistry, Latin/biology, precision agriculture, sports science, palaeontology, and natural history. They value active learning, and encourage creativity, collaboration, curiosity and the confidence to have a go. In 2016, after a three month pilot program, during which time more than 3000 Kindergarten-Year 10 students from 41 schools across northern NSW were visited, the feedback was so positive that it encouraged UNE to launch the UNE Discovery Voyager program in April 2017. From there, the Voyager team hit the road, visiting 85 schools and providing hands-on activities for more than 7000 students as far west as Moree and Pallamallawa, south to Port Macquarie and north to Harwood Island. In recognition of the team’s achievements in November 2017, UNE Discovery Voyager was awarded a Northern Inland Innovation Award for Research and Education. These awards are hosted by Regional Development Australia – Northern Inland NSW. Congratulations to the team. 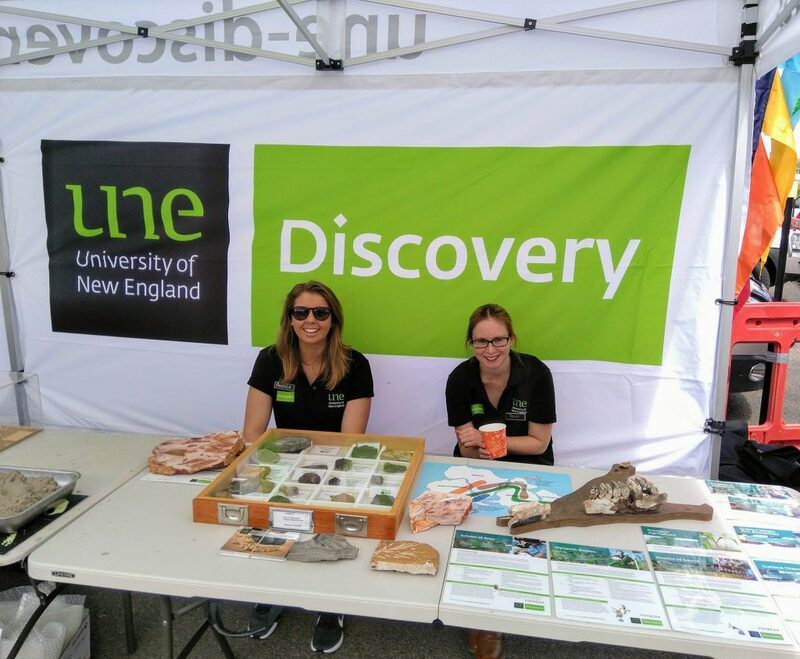 And if you’d like to be part of their program in 2018 or 2019, contact them on une-discovery@une.edu.au. Dr Jean Holley would love to book your school in for a day or more of play-based, exploratory learning.